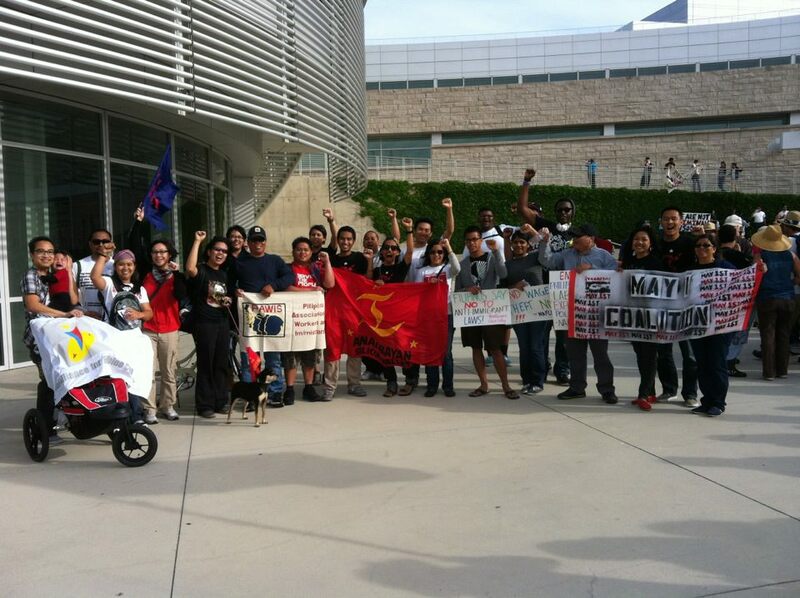 On May 1st, Anakbayan Silicon Valley (ABSV) will gather in solidarity for International Labor Day, alongside many thousands of workers and peoples worldwide. ABSV will be gathering at Story and King at 3pm and will be marching with the May 1st Coalition, the National Alliance for Filipino Concerns (NAFCON), Pilipino Association of Workers and Immigrants (PAWIS), Filipino Youth Coalition (FYC), and many other Silicon Valley-based organizations. The gatherings will shed light on the unfair and unjust working conditions of workers everywhere and, particularly for the US, the inhumane immigration system and lack of recognized rights for all workers and im/migrants. In the Philippines, the Aquino government continues to profit from the remittances of millions of Overseas Filipino Workers (OFWs) through its Labor Export Policy (LEP), compelling Filipinos to look for jobs abroad while charging them fees and guaranteeing no protection from abuse. This dehumanizing systematic export of Filipino workers has led to rampant cases of human trafficking, as exemplified by the case of the Adman 11. Here, eleven Filipino workers were brought to Mississippi (instead of Virginia and Colorado as written in their contract) and were compelled to work for half of the salary they were promised. The recruitment agency that trafficked these workers was government-registered and authorized. The poor majority of the Filipino people are experiencing the consequences of the global 1% exploiting the land for resources and people for labor. Every day, over 4000 Filipinos leave their homeland due to the lack of jobs and worsening social and economic conditions. For example, peasant communities experience continual land grabbing with no sign of genuine agrarian reform from the government. Urban poor communities continue to experience demolition after demolition for the building of “development projects” for the benefits of foreign businesses and their local agents in the Philippines. Ultimately, the Philippine government does not provide basic necessities to the people, who are given no other option than to pack up and move to other countries to find decent wages, in order to provide for their family members in the Philippines. 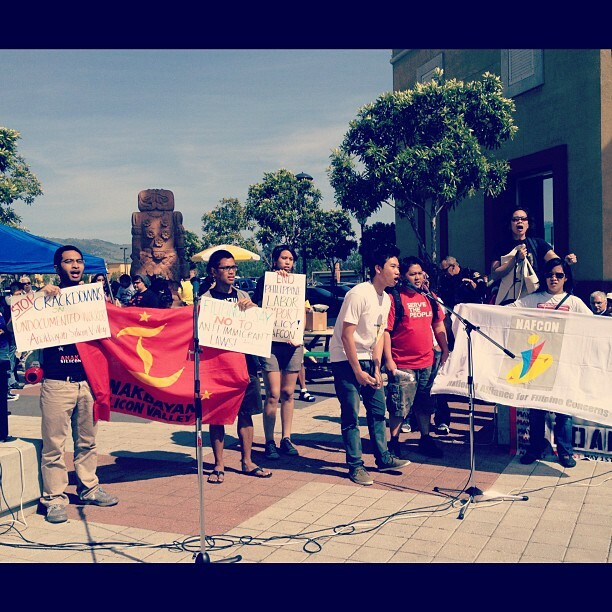 In light of these local and global conditions, we, the Filipino immigrant youth of Anakbayan Silicon Valley, stand strong in our commitment to expose and oppose such injustices against immigrants and workers — some of the most oppressed and exploited, yet undeniably vital individuals of our society. We call on our fellow youth and students to join us as we work with and for immigrants and workers to effect real and lasting positive change. We celebrate their essential contributions to our communities and raise our voices in demanding that their rights are upheld and protected. End the criminalization of immigrants! Stop inhumane detention and abuse of immigrants! No to Philippine Labor Export Policy! Long live workers and immigrants! Dignity and livelihood for all! 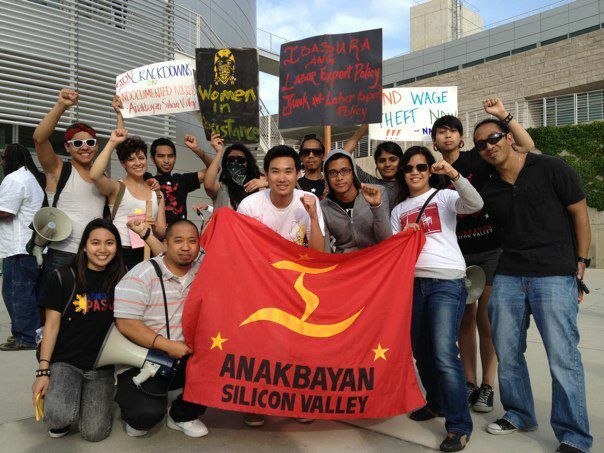 Anakbayan Silicon Valley (AB-SV) is a comprehensive national democratic youth and student mass organization. AB-SV upholds the interests and demands of the Filipino youth and people by educating, organizing, and mobilizing them to fight for education, employment, land, democratic rights, and social services for Filipinos in the U.S. and/or the Philippines. We believe that all youth are agents of social change and thus aim to build unity among Filipino youth of all backgrounds — immigrants, those born and raised in the US, students, workers, LGBTQ individuals, women, artists, etc. — to effect systemic change. We aim to unite Filipino youth to achieve genuine freedom and democracy in the Philippines. Please contact us at anakbayansv@gmail.com to learn how you can get involved!